We’re in the gray area for shorebird migration. The first southbound shorebirds should start appearing any day now (Least Sandpipers and Lesser Yellowlegs) if they haven’t appeared already, but a few shorebirds could still be moving north. 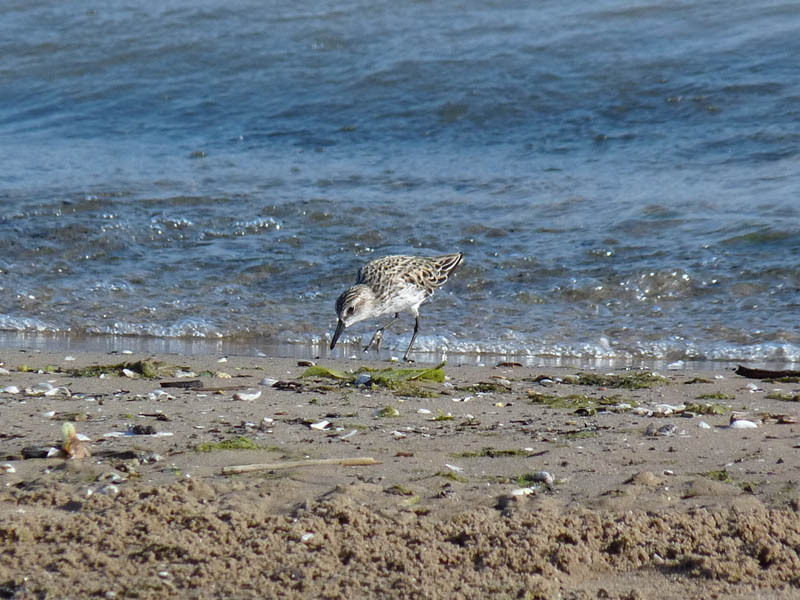 This morning, June 24, I saw a Semipalmated Sandpiper at Montrose Beach. I tend to think this bird is a very late northbound migrant as opposed to a very early southbound migrant. We see Semi Sans regularly at Montrose well into June; I think this bird is at the tail end of that trend. This entry was posted in Summer Bird Reports and tagged Semipalmated Sandpiper, Shorebirds on June 24, 2018 by rhughes. 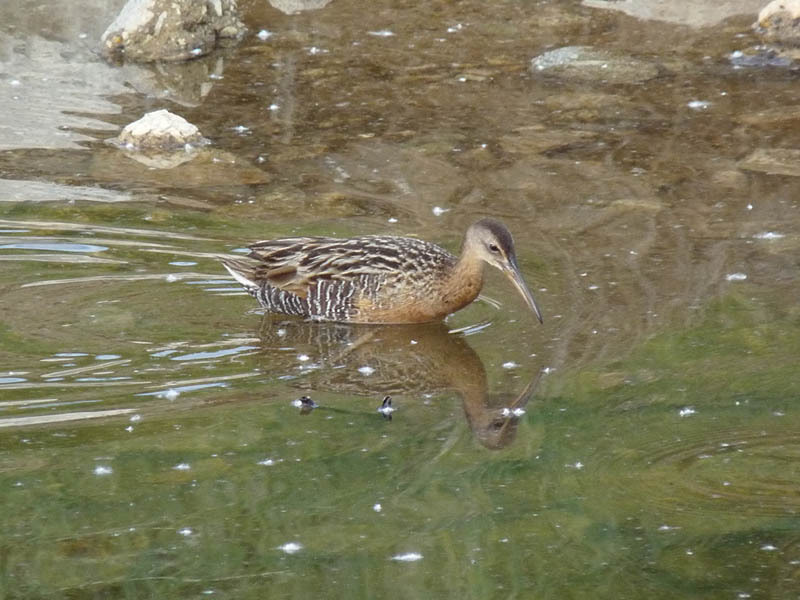 The King Rail continues at Montrose. This morning, June 14, I saw it walking and feeding in the grass and water next to the fishing pier at the base of the pier. It appeared to be healthy and put on quite a show for me. This is the first time I’ve seen this (presumably) continuing bird. Thanks to Andrew Aldrich for alerting me to its presence. We also had a few late migrants and surprises, including Mourning and Blackburnian Warblers, Dickcissel, Orchard Oriole, Wood Thrush, and Bonaparte’s Gull. See? It pays to keep birding into June. This entry was posted in Summer Bird Reports and tagged King Rail, Rails on June 14, 2018 by rhughes.